I’m thrilled to be guest-posting today on my friend Stephanie’s site at Recipe Renovator. She is featuring my old-fashioned Cranberry Conserve, inspired by recipes from my mother and grandmother. Yum – I’m heading right over! You’d be SO welcome here X0. Thanks Susan, I am gathering quite a collection of chutneys – easier for me than jams. 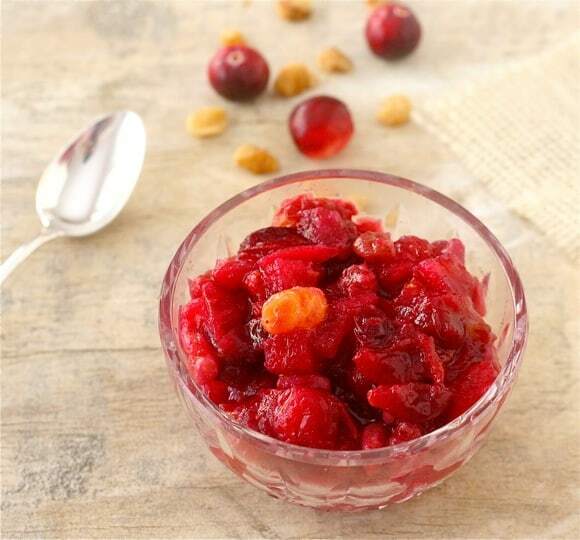 I heard about your cranberry conserve from my sister Pricilla Willis of She’s Cookin, and I would really like to try your recipe, but cannot find the correct link to it. Could you please send it to me at the above address? I’d like to prove to my family that we don’t have to have extremely high calorie sauce to be good! Hi Ruth, I sent you the link in a return email. Let me know if it did not go through. On my site the recipe is 2 posts ago, a guest post for Recipe Renovator. Happy Thanksgiving!